Less than 24 hours after competing in five fast-paced and bloody rounds with Dustin Poirier in the main event of UFC 236 in Atlanta on Saturday and falling just short of adding an interim UFC title to his collection, “Blessed” took to Instagram to share his thoughts on the loss and offer his congratulations to Poirier and his wife Jolie. Holloway and Poirier first fought back on Feb. 4, 2012, at UFC 143. It was Poirier who won that night as well, finishing Holloway by first-round submission. Both men went on to have extraordinary success in the following years, with Holloway putting together a 13-fight win streak and becoming the UFC featherweight champion, and Poirier establishing himself as an elite contender at both 145 and 155 pounds before earning his own belt in his 22nd walk to the Octagon by defeating Holloway a second time. 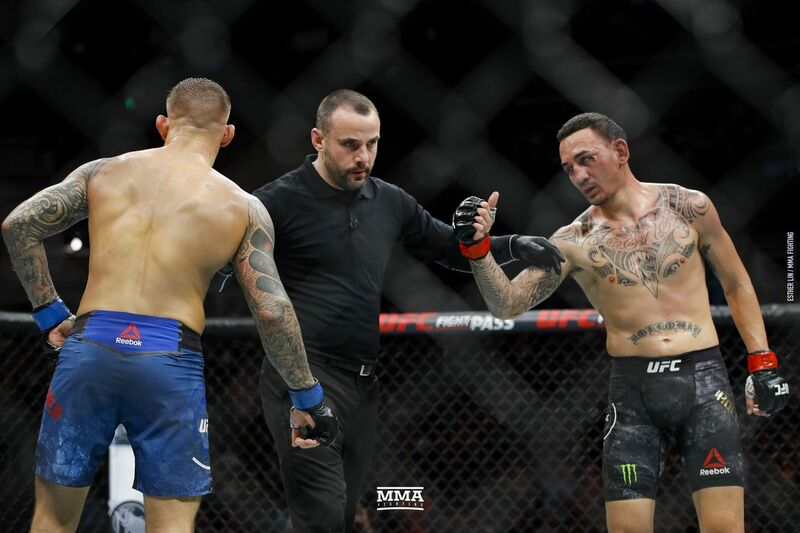 Post-fight, UFC president Dana White suggested that Holloway return to featherweight to continue his reign there and that Poirier’s next meeting will be a unification bout with undisputed champion Khabib Nurmagomedov.